With all the hype that's surrounding the undead recently it's no surprise that user friendly manuals are popping up all over the web. 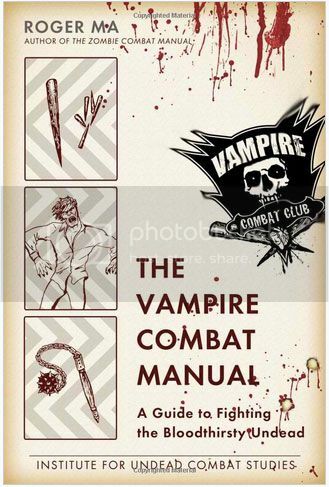 One such manual that caught my eye is this Vampire Combat Manual. It's full of images and instructions on how to actually live through an attack or two from those blood sucking undead. Now if only we can find the instruction manual on how to get rid of those Twilight Vampires that's giving a bad reputation to all those other serious vamps out there. Anyways, just go ahead and check the source link below if you want to know all about Vampire Combat Training.